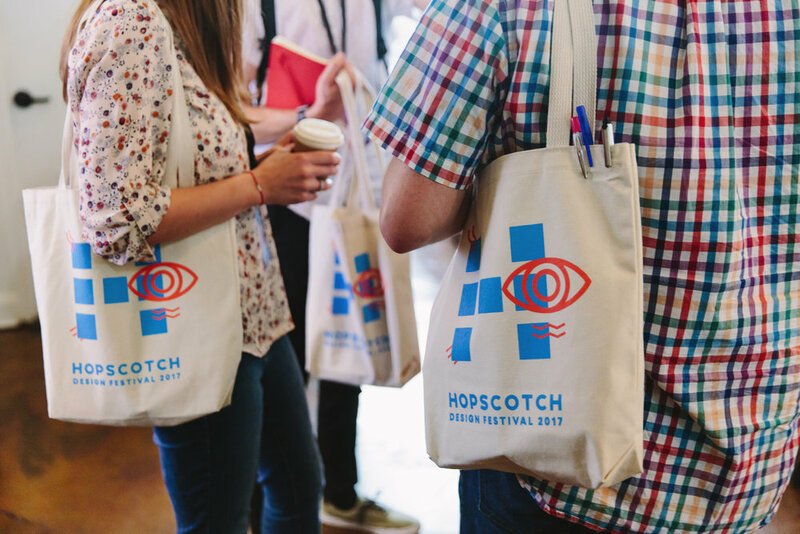 Hopscotch Design Festival was a sister festival to Raleigh's Hopscotch Music Festival, created and organized by New Kind. 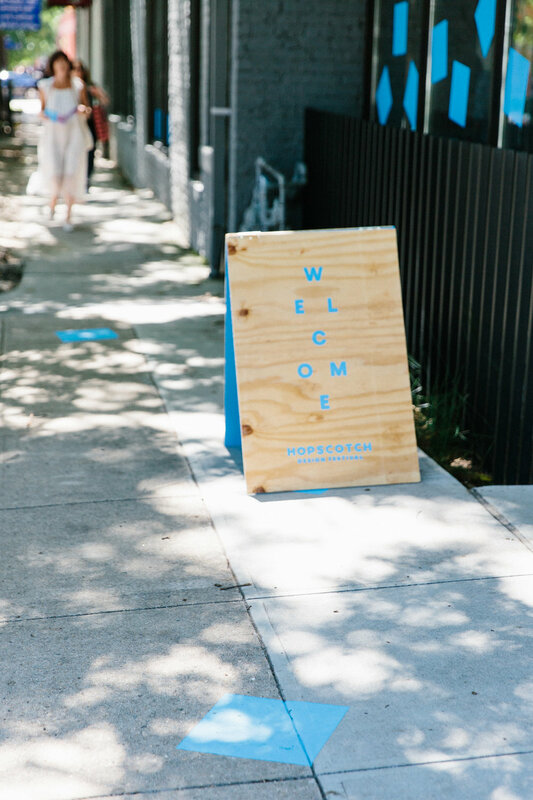 It was a two day gathering of designers, thinkers, makers, and storytellers who are shaping what’s next, right now. Designed to be a place of possibility, it gave attendees space to dream, to remember their potential, and figure out how they want to make their difference. 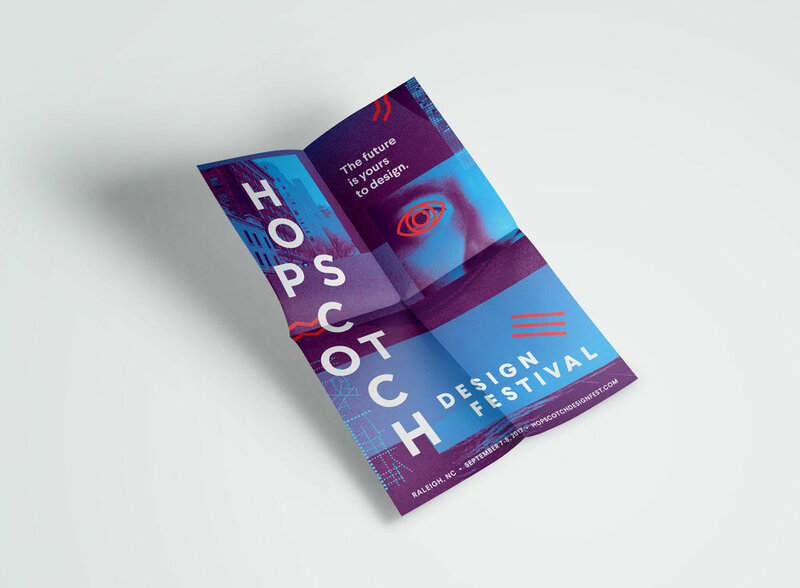 In 2017, for its fourth and final year, I worked closely with the festival director to create and implement an identity system that elevated and communicated the festival's overall message, vision, and voice. We collaborated in multiple design sprints to hone in on high-level goals, define an authentic style, and determine the organizing principles for this year's particular visual direction. The 2017 brand revolved around ideas of epiphany, wonder, and soul, with a healthy amount of Raleigh flavor sprinkled on top. 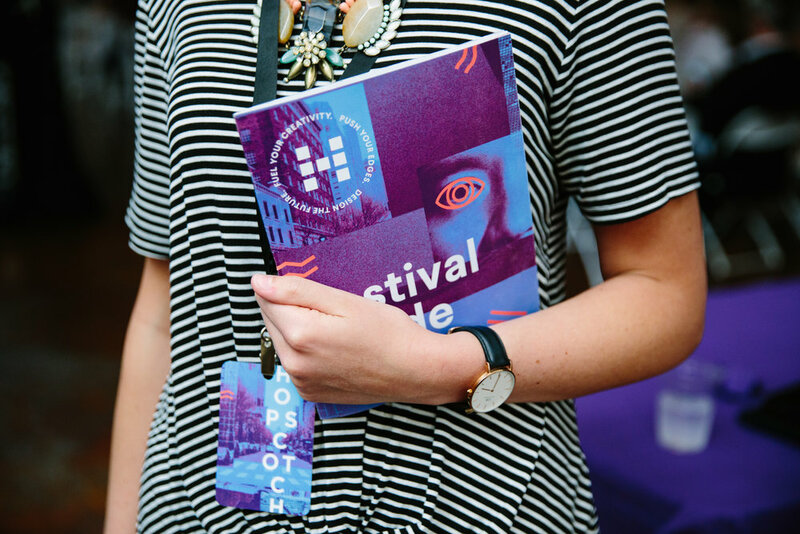 The brand came to life in a full suite that included posters, mailers, guidebooks, shirts, stickers, bags, environmental implementations, social media assets, and the festival website. I worked with production partners every step of the way to ensure that each piece was accurately represented and implemented.